If you are looking for an experienced HVAC contractor, we are one of San Antonio’s longest standing heating and air conditioning companies. We have been providing HVAC services for more than 50 years, and we’re only getting better. Tracing back to 1962, three generations of our family have since provided reliable and quality service to the area. AC State Air, however, was founded in 2005. Our licensed contractors have decades of experience carrying on the family tradition of superior service and keeping San Antonio residents cool in the summer and comfortable in the winter. We hold all required insurance and bonds. To show our customers that we are committed to being the best, our technicians have North American Technician Excellence (NATE) certifications from the industry’s most rigorous testing and qualification program. As a Factory Authorized Goodman Dealer, we offer our customers industry-leading equipment, including efficient heat pumps, state-of-the-art gas and electric furnaces and ductless HVAC systems. We stock quality equipment, carefully selected based on energy efficiency, performance standards, and price. We provide excellent options to help make purchase needs more affordable. Coupons and rebates are available regularly on qualifying systems. Because we’re an authorized installer, our Goodman systems come with a 10-year parts and labor warranty. Our experts are qualified to maintain and repair systems manufactured by all brands including Carrier, Coleman, and Amana. We can repair and maintain gas and electric furnaces, heat pumps, central air conditioners, and ductless HVAC units. 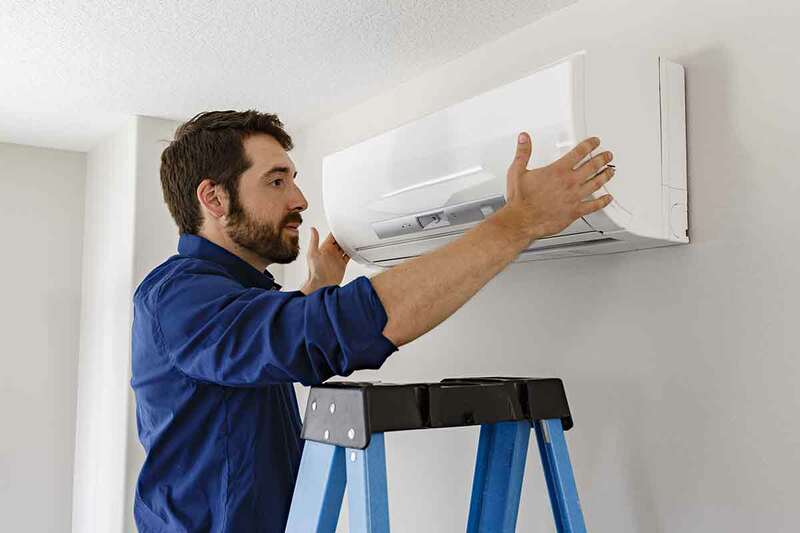 Our maintenance services allow you to get more from your heating and air conditioning system. Allowing our technicians to conduct annual preventive maintenance on your heating and cooling systems will give you increased value and dependability. If you’re dreading a replacement, we can see if a repair or tuneup is enough to bring your system back to life. We believe in saving you money and offering economical products and services. AC State Air will never try to upsell or push products and services that you don’t need. Our goal is to offer professional advice and service that lead to the best possible outcome. Because each customer is different, we tailor our services to you. Whether you’re interested in saving money or going green, we can make that happen. If you are in need of our services, don’t hesitate – give us a call today. We offer a number of special deals to help our friends and neighbors afford the products and services they need. Taking advantage of a special offer now could have a huge impact on your comfort for years to come.